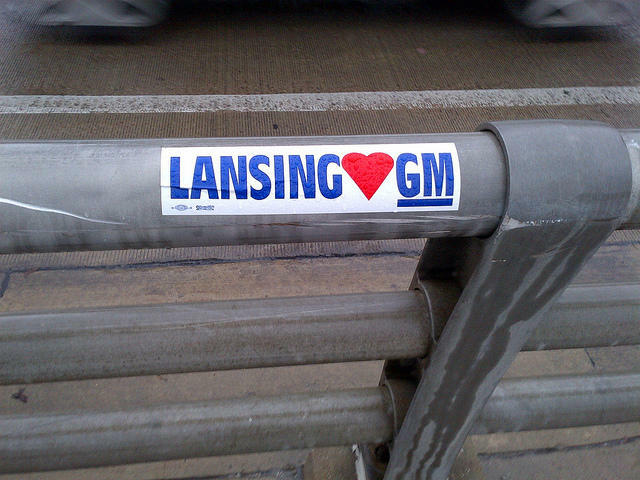 If you lived in the Lansing area in the second half of the 90's, you probably remember billboards and bumper stickers shouting "Lansing Works" and "Keep GM." It was part of an aggressive campaign to persuade General Motors from cutting back, and possibly ceasing operations in Lansing. Up to 7,000 jobs in the city were at risk. The memorable campaign involved concessions from the city and the United Auto Workers along with a collaborative, sometimes dramatic, approach to unite a diverse array of stakeholders. Some participants have called Lansing's "Keep GM" effort one of the first serious efforts in regionalism. Ray Tadgerson was at the center of the effort. Ray, along with filmmakers Tom Lietz and Terry Terry, discuss their film project "This Model Works." Tonight, the Lansing City Council could move forward with a plan that would add five-miles to the city’s river trail. The body will vote on a proposal to provide city funding for most of the “South Lansing Pathway.” That’s three sections of new biking and walking paths that would stretch from Cavanaugh Road to Waverly Road. Federal dollars would pay for about 80 percent of the project’s construction costs. Tonight’s council action could green light the city’s share of funding. A new study on the relationship between HIV-infected children and their caregivers is showing some remarkable benefits for both groups. MSU researcher Michael Boivin and colleagues recently published the findings in The Journal of Pediatrics. Today on Current State: a film about keeping GM in Lansing; East Lansing developer converts a hotel into student housing; MSU's neighborhood campus system; a new study on the relationship between HIV-infected children and their caregivers; residents concerned over South Lansing river trail extension; and Batman comes to East Lansing. The fall semester here at Michigan State University begins on Wednesday. Hundreds of new and returning students are completing their moves into residence halls and transitional housing units. Not far from the campus, a new housing development is in the works.